View books by this author MCKERROW, Ronald B. 8vo., Second Edition, on laid paper, with illustrations in the text, some light offsetting from fold-ins to free endpapers; black cloth, gilt back, a near fine copy in unclipped, lightly age-soiled dustwrapper. 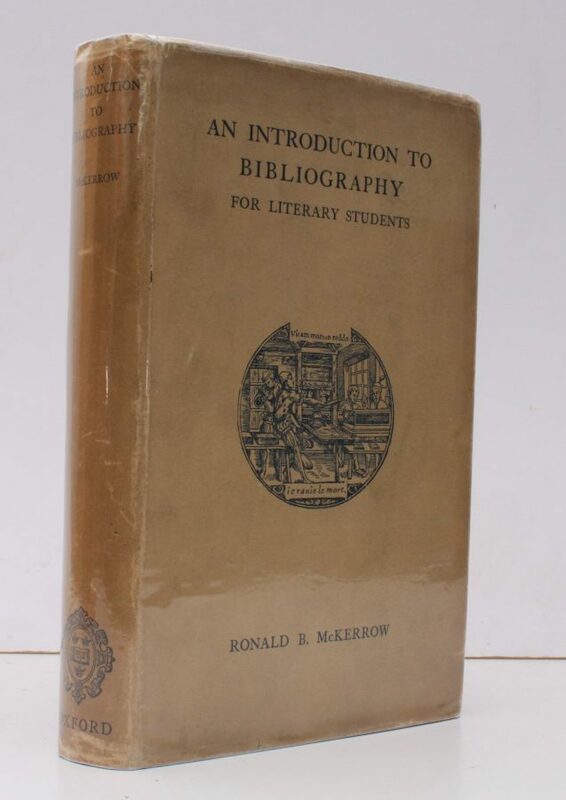 McKerrow's classic text was first published in 1927; the revised second edition first appeared in 1928. UNCOMMON IN THIS CONDITION.